As I sit here and watch Toy Story 3 for possibly the hundredth time while drinking some classic unsweetened iced tea, I write this post. It’s day three everyone! Claps of encouragement for Sarah! BO-YAH! I never thought I would forget anything of my trip last summer but to be honest, I remember what I did, just not on what day I did it! I sat in my room and thought for a long time on what I did last year on Friday July 18, 2014. Amen for Facebook and my addiction to it. I posted something everyday while I was in KS and Facebook finally paid off! Once I read the statuses, it all came back to me at an instant! Remember the one scene in Tangled, after Rapunzel whacks Flynn Ryder with the frying pan? When he wakes up he is wrapped up in her hair like a burrito? Well, when I woke up the next morning after the awesome night at the rodeo, I woke up in a blanket burrito. Apparently, I rolled around in the sheets and quilt. This was all too similar to Tangled! That morning, I don’t even remember when I woke up but I do remember it was enough time to go see The Big Well. The Big Well is one of those places that makes you speechless. The well was completed in 1888 and became the worlds largest hand dug well. This was the only water supply for the town at that time. 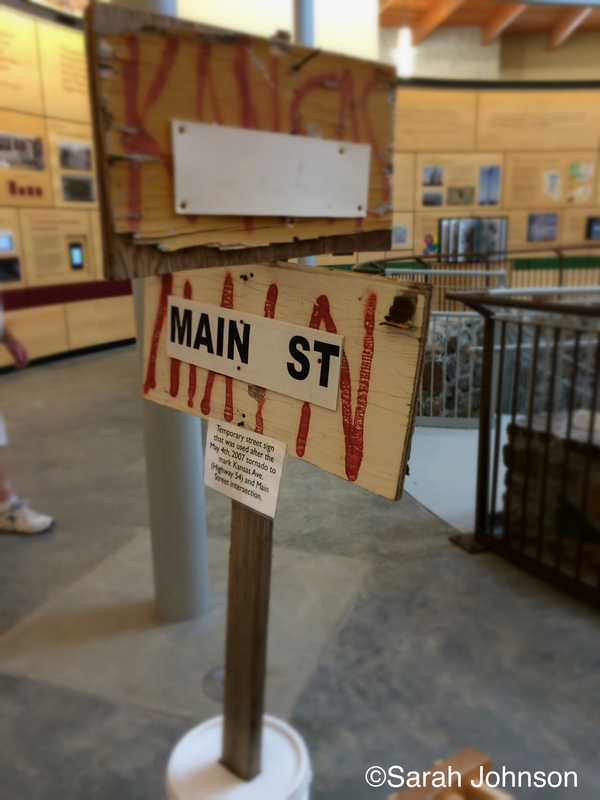 The museum part was destroyed in the 2007 tornado but was rebuilt and finished in 2012. 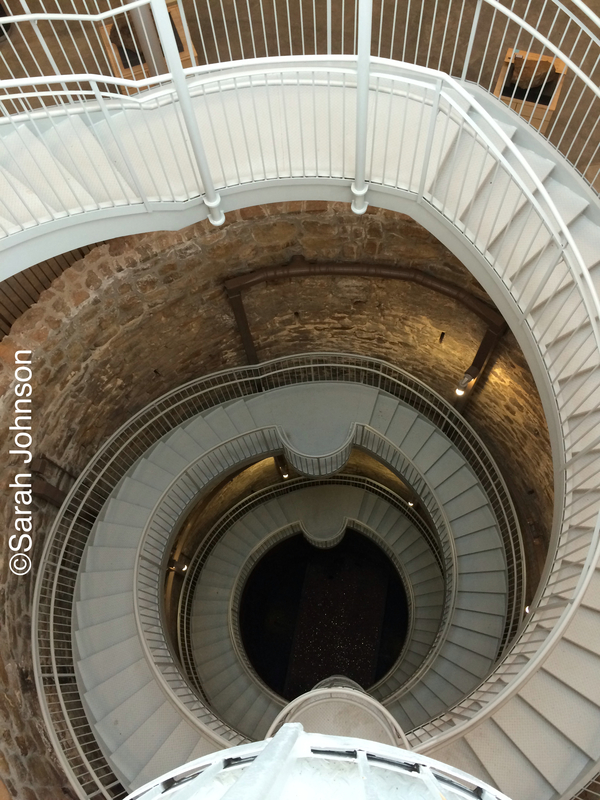 The Big Well has a spiral staircase that you can go almost all the way down to the bottom. Lisa and I went that morning and walked all the way down to the bottom. My leather flip flops made me sound like a horse awkwardly thunking on a puddle only this echoed through the entire well! I still remember Lisa laughing at me! My biggest fear was dropping my phone through the stairs! My one regret was not making a wish and throwing a penny down! This was from the bottom stair level in the well. The architecture was absolutely stunning. The designers definitely made the right choice on how The Big Well museum was rebuilt! Since the town was leveled in the tornado, this was how they labeled streets. The walls of the main level of the Big Well are covered in information about The Big Well. There was a point when I was reading all of the quotes and information that I just had to take a step back and realize that this is real life and this natural disaster actually happened. It was honestly slightly emotional to know that I am in the presence of a town that has come together and grown stronger than ever because of Mother Nature’s events. This is the top-level of the well. The windows allow a 360° of the town and allow for some nice panoramic photos! In the original photo you can faintly see all of the coins sitting at the bottom! I felt like a bird perching on the edge of a cliff taking this photo on the top-level of the well! After we were done a The Big Well, we went back to the house and I got my stuff all packed up and ready to move to the next home I was staying at. I don’t remember what time I was picked up but when the time came I didn’t want to leave! I hoped that the next family I was staying with was just as great as the first one! When the car pulled up, a woman emerged from the car and greeted me with a sweet smile and “Hello!” We put my luggage in the car and we were off! We stopped at Jan’s house and dropped my suitcase off. I was greeted by an adorable cat named Minnie. She had bright green eyes that glistened in the sunlight that shone through the windows. Minnie reminded me of our barn cat at home and it all felt right! Jan and I decided to grab a bite to eat at the local coffee shop called The Green Bean. The Green Bean has since closed and now in the process of relocating to Dodge City. 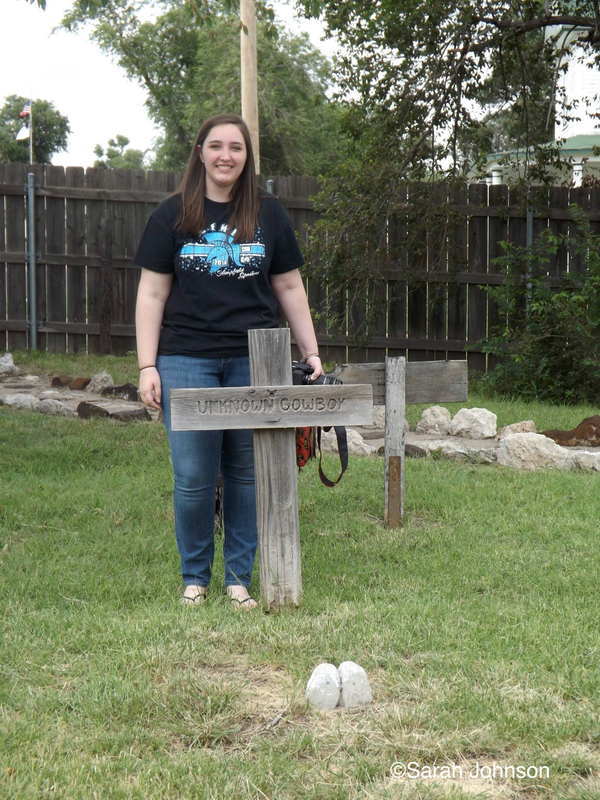 Later that day, Jan and her husband, Gene, told me that we are going to take a trip to Dodge City to see Boot Hill. 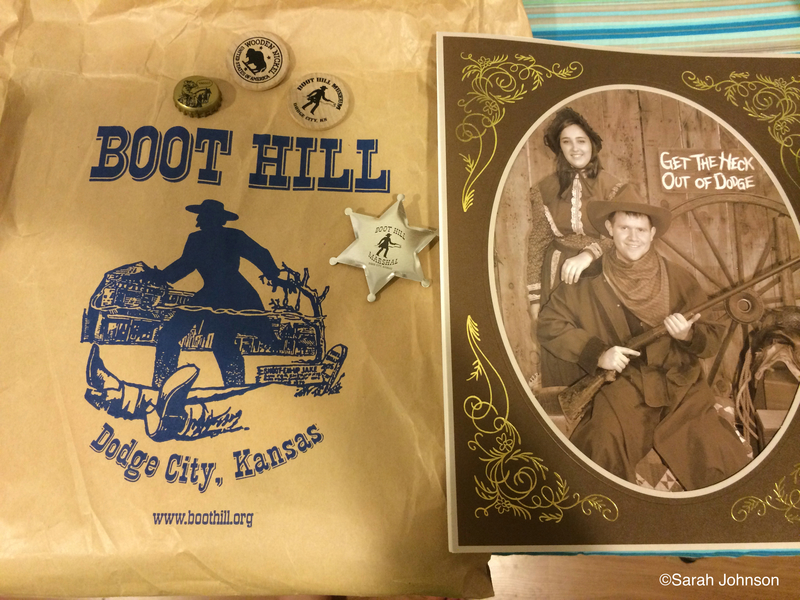 In my mind I thought, “…what the hell is Boot Hill?” We picked up, JD, one of the exchange students that went on the trip in 2013 and we were on our way! While spending time in Greensburg, I couldn’t help but notice these big trailers with holes in the sides. It was like the big trailer in Mighty Joe Young that the big gorilla, Joe, was hauled in. I remember asking Lisa, Greg and their son Eric what these big contraptions were. The explained that they are cattle trailers. They are two level trailers and the cattle get hauled to feed farms in Dodge City. Now if you don’t know what a feed farm is, it’s basically a slaughter yard. That is the only way to describe it. The smell that lingers in your nose for hours is not a pleasant smell. This smell can make your stomach flip. That smell is the burning flesh of cattle from what I understand. Upon entering Dodge, I saw on my righthand side of feed farms after feed farms of all market cattle. The fencing was white metal and the sight of it was just eery. The cattle were crammed into corrals and they looked to be fetlock deep into mud. One one side of the highway was the feed farms and on the other side was the distribution and packing facilities such as Tyson, Walmart (I think, but I don’t completely remember! ), or Cargill. Seeing all of this in person was surreal. This was all a part of my experience that I wanted to know. I wanted to know as much as I could in the short week I had in that place even if it meant some really queasy moments! There was a General Store, Saloon, Ice Cream Parlor, and the Photo Parlor! There may have been more but I just don’t remember! 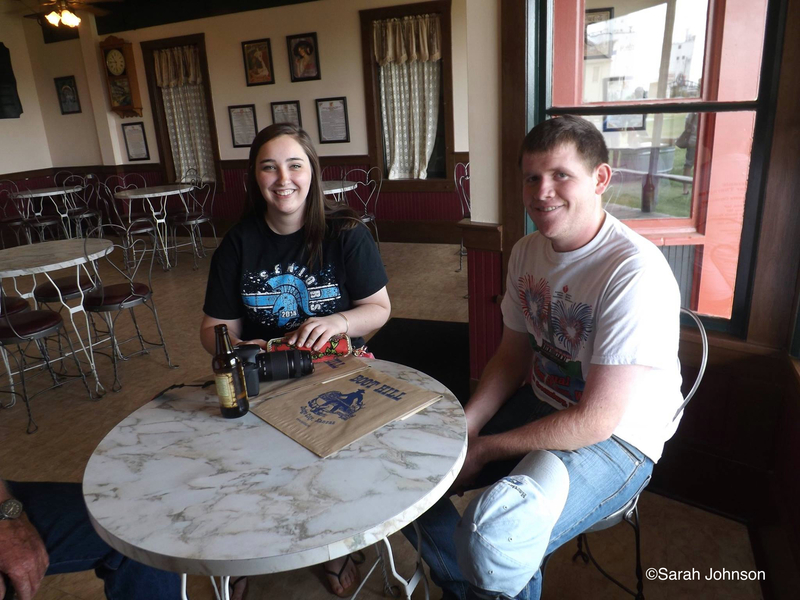 JD and I went to the Long Branch Saloon for an ice cold Sarsaparilla. (It might be my favorite drink ever…just saying!) Afterwards we met up with Jan and Gene to decide what to do next. Apparently next meant dressing up! In the Photo Parlor, you got to dress up and pretend you were from the old wild west! JD and I had a photo taken of the both of us, dressed in the old western clothes, that Jan had so graciously bought for each of us. Let’s just take a glance at this beauty that I am super embarrassed to upload! I included the little knick-knacks that I bought for my souvenir project. Ill be posting about that once I’m done with this week! 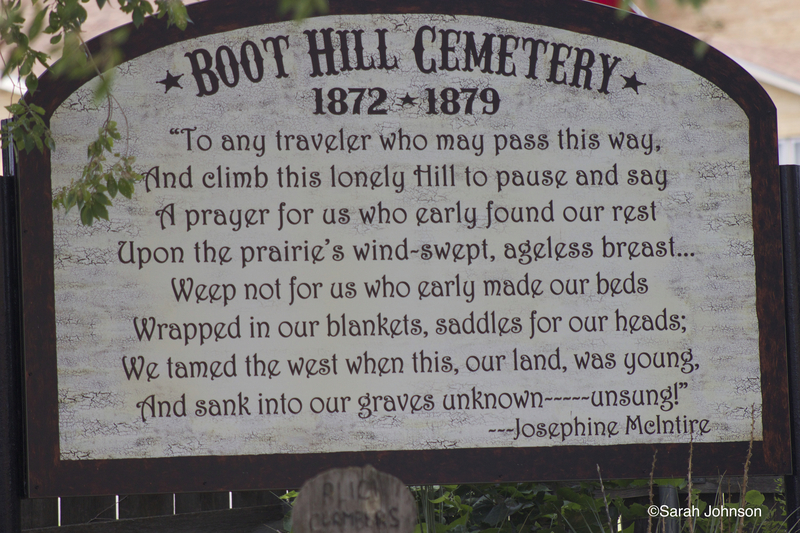 One of my favorite parts of Boot Hill was the pianist. I love that ragtime music played on a real antique piano. It’s so quick and beautiful all at once! In my opinion it’s just a lot of fun! Jan and Gene had bought tickets for the dinner and show after we toured the museum. This was like a special treat! We had a little extra time before the show started so we went to the ice cream parlor for a little bit of ice cream! BEST BUTTER PECAN ICE CREAM I’VE EVER HAD!! We then migrated to the Beatty Kelley Restaurant for a scrumptious brisket dinner. Until I went to KS I had never had beef brisket before and oh boy was I missing out. The midwest knows how to cook a fantastic meal altogether! After dinner everyone popped a squat at one of the picnic tables outside to watch the World Famous Boot Hill Gunfighters standoff. The show portrayed a bunch of angry and rowdy cowboys shooting at each other. The cowboys shoot off real guns loaded with Hollywood ammunition. In other words, it’s a real casing but no bullet. 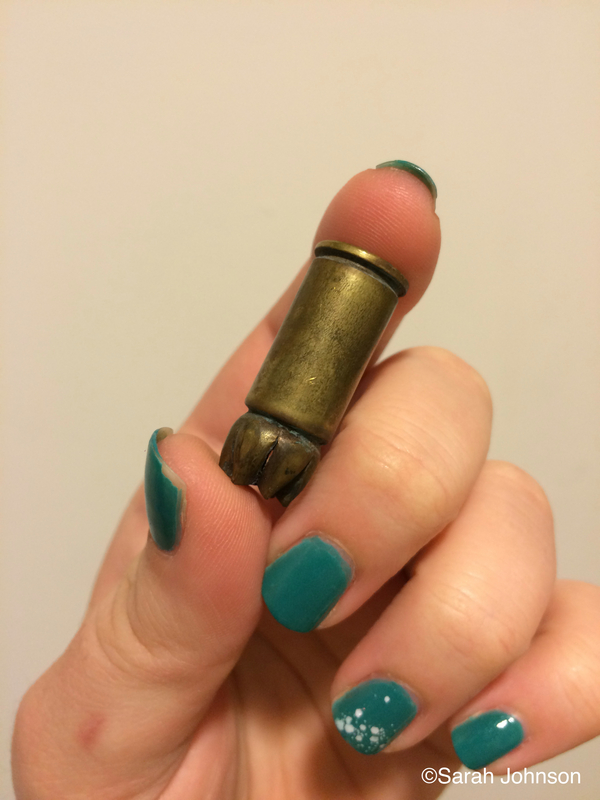 So in all of those action movies you see, people aren’t really getting shot, it’s just a fancy little casing with gunpowder — like everyone didn’t know this already! After the standoff, everyone gathered in the Long Branch Saloon to watch the Long Branch Variety Show. The show has various comedy skits and actually made me chuckle quite a bit! I sadly don’t have any photos inside the saloon during the show, and I’m not sure why I didn’t take any! I guess I was just too engulfed with the show! After a wonderful day in Dodge I was ready to hit the hay and call it a night. After I got done taking a shower I got a visit from Minnie just wandering through being nosey! It wasn’t long before she was gone but she was a nice visitor for the short hour or so! If you’re ever in Dodge City, or even nearby, I HIGHLY suggest you go and experience this place. There is so much history and they portray it so well. This was so much fun and I am so glad I got to do it.